Father’s Day is on September 2. We’ve rounded up our favourite Australian-owned sock subscriptions for a gift that keeps on giving. The only thing you can count on dad liking better than an ironic mug or a bad joke is a good pair of socks. You can also rely on the fact that when he runs out, it will be a chore and not a thrill to go and buy some himself. 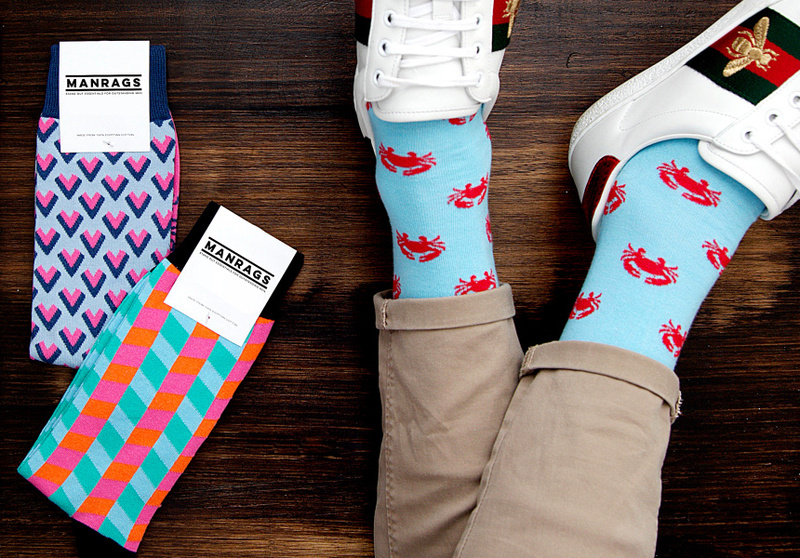 To keep dad’s sock drawer full and fun, consider gifting a sock subscription this Father’s Day. These services, which deliver new socks monthly, have become seriously popular in recent years. There are a lot of options, so we’ve sorted through them and found our favourites. They all provide a range of services, from month-to-month, three-month, six-month and yearly subscriptions. Best of all? They’re all designed in Australia. 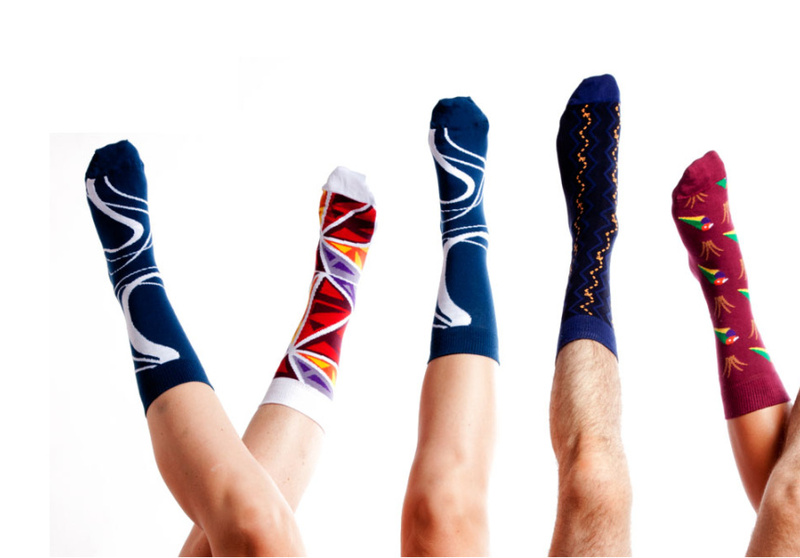 Founded in 2014 by Jeff DeMaria, Melbourne-based Soxy Beast was Australia’s first subscription-sock company and offers a range of bold, graphic designs. Each month, Soxy Beast collaborates with established and up-and-coming Australian artists on one-off designs. Graffiti-artist KIL Productions delivered Hosier Lane inspired socks. And Torres Strait Islander artist Zachary Bennett-Brook’s Salt collection brought traditional Indigenous patterns to a non-traditional canvas. Soxy Beast subscriptions begin at $20 per month for a three month subscription. Friends Angus Pearce, Russell Fox and Asher Hunter met when they were living and working in New York City. When they returned home to Melbourne they founded Fresh Sock Co in 2016. 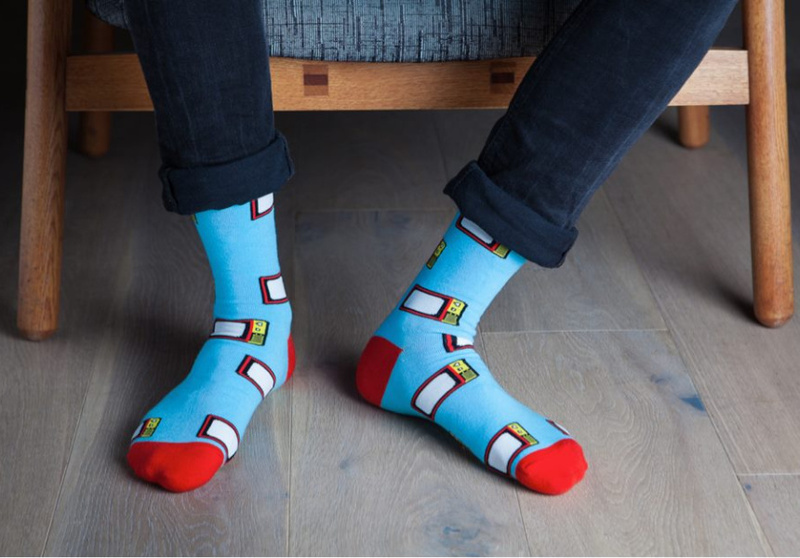 Their socks are made from a 75 per cent cotton blend and come in a range of vibrant, graphic patterns, as well as more subtle but still playful options. Russell, an art director, handles the bulk of the design work (recent options include watermelon- and bow tie-emblazoned socks), with Angus and Asher taking care of logistics. Fresh Sock Co is running a Give a Gift, Get a Gift promotion. For all subscriptions greater than six months and purchased during this Father’s Day period, Fresh Sock Co will send the gift-giver a pair, too. And if mum feels left out, all Fresh Sock Co designs are available in women’s sizes. Fresh Sock Co subscriptions begin at $12 per month. Husband-and-wife duo Michael and Tina Elias founded Manrags in late 2015. 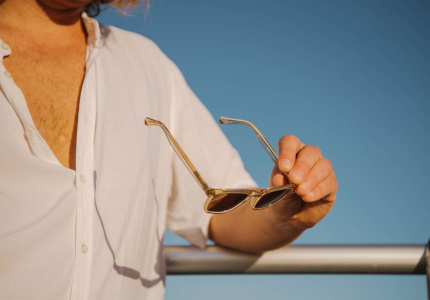 Michael comes from a finance background and handles the business side, while photographer Tina designs every pair, which is made in Melbourne with 100 per cent Egyptian cotton. All Manrags subscribers have access to the world’s only “washing machine monster policy”, which remedies a situation every sock owner faces on a regular basis. Earlier this year Manrags launched an underwear line, and now it offers subscriptions for both socks and jocks. Manrags subscriptions begin at $14 per month. With designs including a flamingo-flecked Meet the Flockers, and the egg-covered That’s all Yolks, Sock it Up Australia has a ton of personality. Amelia Taylor and business partner Adam Barton began the Brisbane-based company just over a year ago. Taylor is from a marketing and PR background and Barton is a restaurateur. The initial patterns focused on food and drinks, but the designs have since expanded. 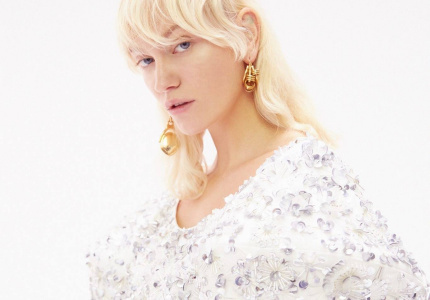 “It was a this-would-be-a-great-idea-over-a-glass-of-wine project, and it’s now become two storerooms full of different patterns,” Taylor says. 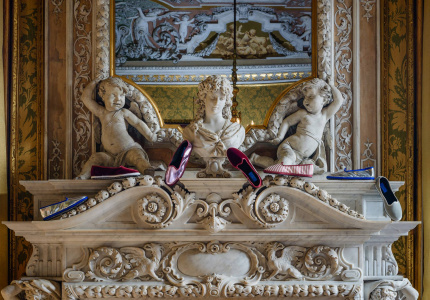 Taylor and Barton assign every sock design its own soundtrack. For Clowning Around it’s Britney Spears’s Circus. Sock it Up Australia subscriptions begin at $15 per month. For more Father’s Day gift ideas, see our Guide to Five Gifts Under $50. This article was updated at 1.55pm on August 30, 2018.